I like model and television presenter Alexa Chung’s style. You can feel that the comfort requirement is as important as the aesthetics for her outfits. I have realized that I could easily draw my inspiration from her style as her wardrobe includes many basics. 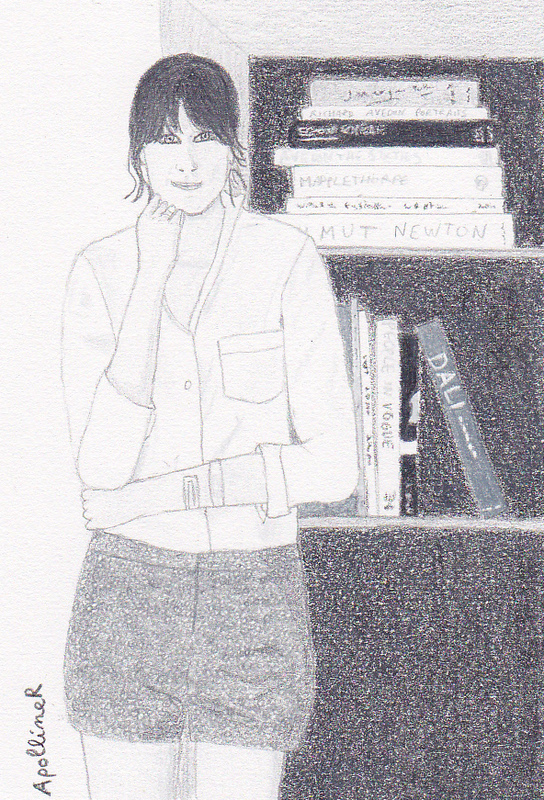 On the drawing, Alexa Chung is wearing a white shirt and black shorts, a simple, elegant and comfortable outfit.